Woke up this morning with my left eye glued shut and really itchy. After decrusting (there is something so obscenely gross about the word 'crust') my eyelid, I looked in the mirror and I now have one eye that looks like it came straight from the pages of Hell. I'm trying some homepathic eye drops in it today, however if it is not showing improvement by tomorrow, I'll have to go to the doctor as I may need antibacterial drops. Speaking of eyes, the video below is a literal translation of the iconic 80s song by Bonnie Tyler, Total Eclipse of the Heart. Aside from a couple of seconds of straight talking in the middle of the video, it is hilarious. So many music videos are just so bizarre and really don't have much to do with the song that is being sung. The literal translation songs use the original video, a singer that sounds close (hopefully) to the original and words that actually describe the video. There are quite a few different ones on YouTube, but I think this is one of the best. that was hilarious! videos of the 80's were pretty funny when you look back on them, lol! Sorry about your eye. That happens to me all the time and I use Similasan and it usually clears it up. It may need antibiotics though. So sorry Sue to read you have the Pink Eye! Please note it is very contagious and easily passed from one eye to the other. Best bet is to go to the doc! This cracked me up!! Boy do I remember those days. This is great. I am sure to pass this one on. Hope your eye feels better. Crusty eye is no fun. thank you, thank you, thank you for introducing me to Literal Versions .... what a RIOT! After seeing this literal version, I looked at the original and it makes just as little sense as this one - except this one is funnier. My eye seems abit better tonight, so hopefully it will clear up totally. That video had me laughing!!! Your right some of the translations for video's are hysterical! Thanks! Oh gosh, I hope your eye is getting better as I type. That's a great video! Sure hope your eye is better today. 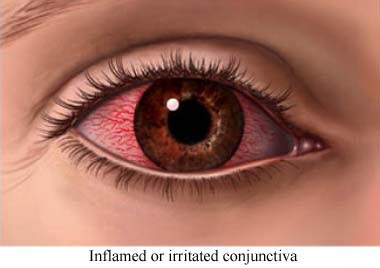 I have regular bouts of conjunctivitis, too. I go to the eye doctor and get drops that clear it up in just a couple days. I say forget the homeopathic and go get some prescription eye drops, Sue that looks painful. I love that our first cars were the same only mine was white with red interior. Want to thank you for the video...I so needed to laugh out loud this morning...!! Hey Sue I had pink eye last year. colloidal silver will soothe the burn instantly and clean it up cheaper than the doc visit. Haven't looked at the video yet, but sorry to hear about the eye! I have had my bouts with that...and it is yucky! Polysporin eyedrops work pretty well.